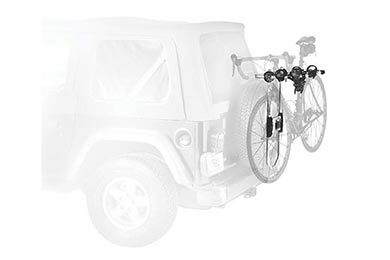 Discover the right Thule bike racks for your ride. The 2 in T2 stands for 2 bikes. And, the T2 carries 2 bikes with ease. Boasting the versatility of roof-mount bicycle racks with the simplicity of a hitch carrier, the Thule T2 makes it fast and easy to load almost any bicycle—no frame adapters or wheel removal necessary. 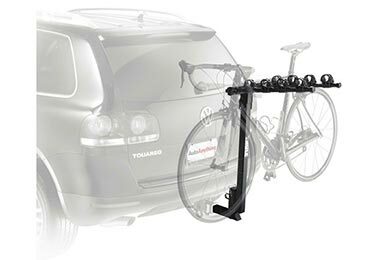 On your next two-wheeled journey, lock and load up to four bikes with the Thule Apex Hitch Bike Rack. 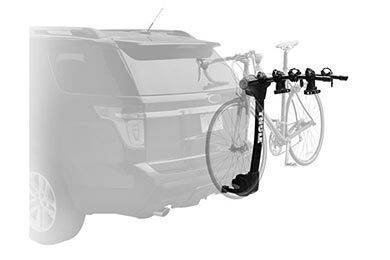 One of the best-designed hitch bike racks out there, this Thule 4 bike rack makes it easy to bring everybody’s bike along. Better known as the Thule 956, the Parkway handles the entire family’s bikes and gear. Mounting to your hitch receiver, the Parkway provides a sturdy carrying platform for up to four bikes. Plus, the rubber cradles safeguard your bikes from dings and scratches. The perfect SUV rack, the Spare Me makes good use of your spare tire. Boasting a unique mounting design, you can carry up to two bikes right on to your rear-mounted spare tire. 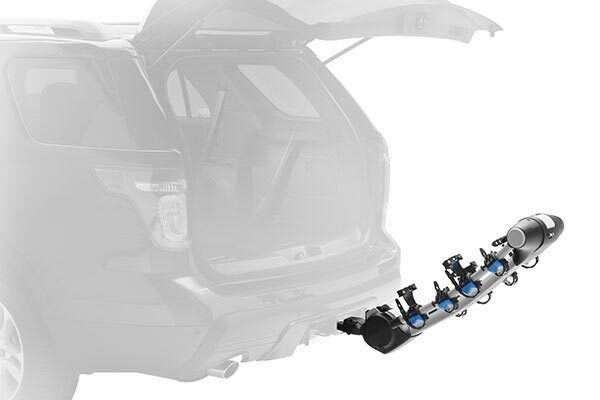 When you need to load up bikes for the entire family, head for the Thule Vertex. This hitch-mounted rack lets you carry up to five steeds, and its easy-on-the-wallet price won’t give your budget a flat. There you have it, Thule makes a huge lineup of bike racks for all your two-wheeling needs. And believe it or not, we’ve only scratched the surface. 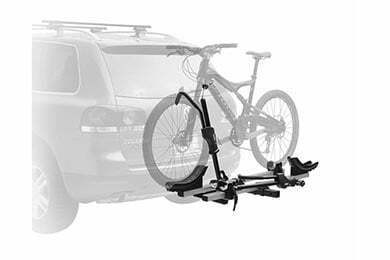 From truck bed bike rack to roof racks to hitch racks and even spare tire racks, Thule has your bike carrying needs covered. We also have tons of bike rack reviews on our site, be sure to check them out. Easy to use, durable, reliable, couldn't have spent my $$$ on anything else. Great purchase and function for family use. Can you tell me if this rack will safely fit on a 2006 Subaru B9 Tribecca? I would love to purchase it but want to make sure it will work appropriately with my vehicle. Hey, The Thule Raceway Trunk Bike Rack, like most bike racks, are universal racks. They are not custom made for any vehicle. The manufacturer does not have a list of vehicles they recommend it will fit best on. It is designed to fit all vehicles with proper adjustments of the straps and hook systems. It should fit your car, but since it is universal I cannot specifically say it will be perfect on your car. Thank you for your question. Hello. Yes, Thule makes the Apex and also the Vertex with an option for 5 bikes. Hope that helps. Reference # 761-759-086 © 2000-2019 AutoAnything, Inc.